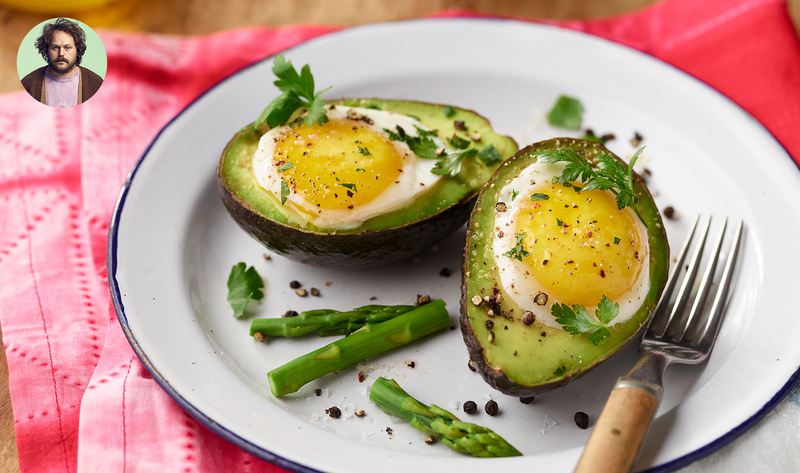 Picture perfect baked avocado eggs: Separate egg whites from yolk. Using a spoon, first add the yolk to the avocado hole, then add the egg whites to just cover the yolk. Slice off a small piece of the bottom of avocado to make it stand up straight. Large size muffin tins can be used in place of a baking sheet and foil to keep them straight up and easier to fill. This recipe is a good source of protein, iron and dietary fiber.